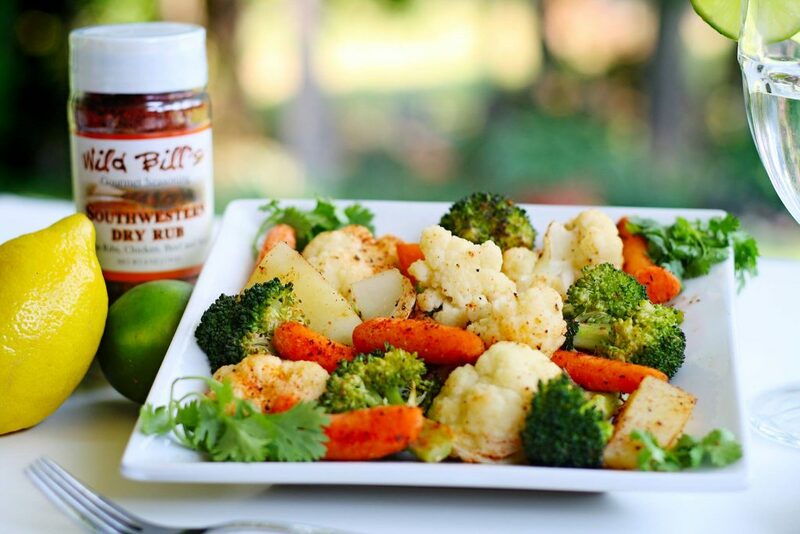 We make gourmet seasonings that add flavor and variety to your meals. 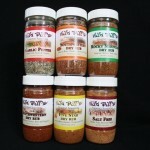 Our seasonings are blended and packaged in small batches for freshness and quality in a commercial kitchen. Each one a special flavor to enrich meat, veggies, soup, salad, and popcorn. 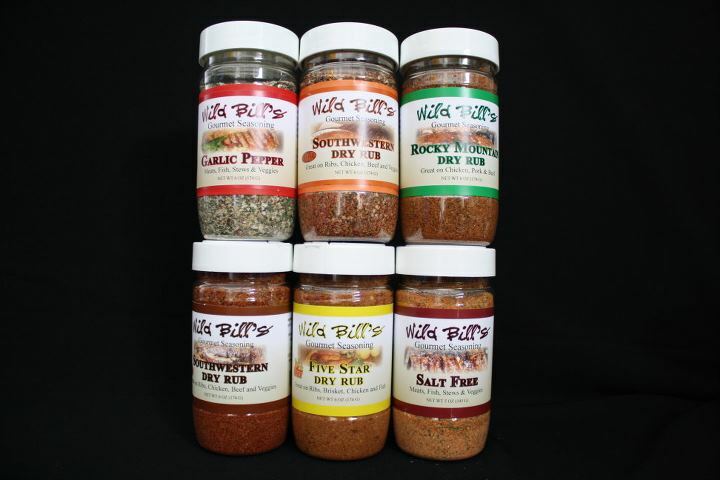 Wild Bill’s Gourmet Seasonings started in our home three decades ago beginning with our Garlic Pepper and are now available to you and your family along with five other tempting blends; Southwestern, Rocky Mountain, spicy Five Star, smoky and sweet Great Basin, and Chipotle. Whether you are looking for something with some kick, a subtle herbal flavor or to enhance your everyday meals, we have what you need. If salt is not on your menu, no worries. 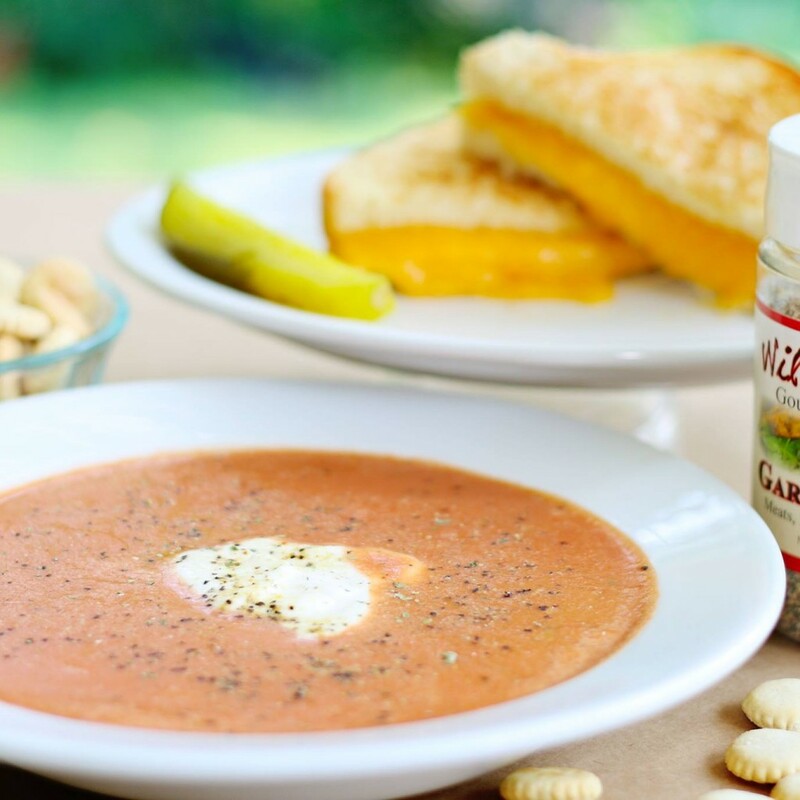 We have four savory, salt-free seasonings. Spicy Citrus, BBQ, Garlic Pepper, and Wasatch Blend, a floral herb blend made with local ingredients. We love bold flavor and creating a unique and addictive eating experience. 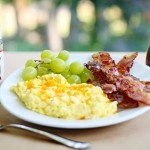 Use our appetizing seasonings on a variety of meats including poultry and fish. 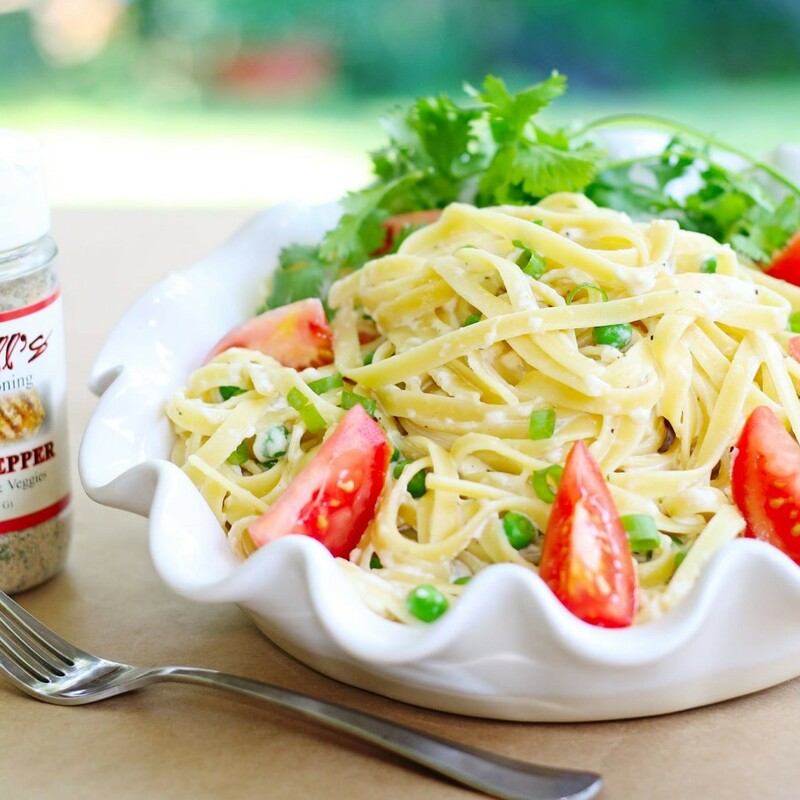 Use Wild Bill’s spices to add life to veggies, pasta and popcorn. Bill was a railroader most of his life, and when he was home he liked to try new recipes. One day, we were out of garlic pepper and decided to try to make it at home. After a while of trying this and that, we had a seasoning better than anything we bought at a store. Soon, we made seasonings for family, friends and people at work. Everyone liked it. He made it for our children and people at work. Bill is gone now, but his family carries on the tradition. 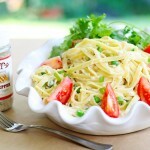 We started offering garlic pepper at farmer’s markets. Then, we expanded into dry rubs, making every product by hand to ensure you like them as much as we do. This entry was posted in Food and tagged pepper, salt, seasoning, spices on April 12, 2017 .